A bipedal robot walks on the surface of a distant planet. Its sensors scan the environment, sending data back to Earth. It comes to a crumbling hillside, flexes its knees and leaps, thrusters whirring, to land safely above the loose rock. This future is still a distant dream away, but Alireza Ramezani, an assistant professor of electrical and computer engineering at Northeastern, has brought it one step closer with a robot that he helped to build as a postdoctoral researcher at the California Institute of Technology. For more information see the IDTechEx report on New Robotics and Drones 2018-2038. The robot is known as LEONARDO, an acronym for LEg ON Aerial Robotic DrOne, or Leo for short. It has a capability most robots these days just don't have: It can both walk and fly. "Initially, it was developed with the idea of designing explorers—systems that can combine legged mobility and fast aerial mobility to do autonomous explorations," Ramezani said. Leo stands about two and a half feet tall, on thin, flexed legs. With a body made primarily of carbon fiber, the robot is strong, but weighs only six pounds. It has thrusters on either side of what Ramezani refers to as the torso. These are able to provide thrust in either direction, and are powerful enough for flight. But that's not their primary function. "The idea is not to create a quadcopter," Ramezani said. "The idea is to have a machine that can leverage its legs and the thrusters to, for example, enhance its jumping capability." The thrusters can also help stabilize the robot on uneven surfaces, or catch it if it starts to fall. "This is the major challenge for legged systems, or even humans: We can stabilize our body, but sometimes we fall," Ramezani said. "What if we could have a robot that never falls?" Ramezani started studying legged robotic systems during his graduate work at the University of Michigan. Walking robots often struggle on rough terrain. At the time, he wondered if there were a way to deploy an airbag to cushion a falling robot. Now he has designed a robot that can catch itself. The idea came from watching birds, Ramezani said. Most robotic designs focus exclusively on one type of locomotion, but birds are able to walk, fly, and even run. "You can see engineering to perfection in nature, and we can learn a lot," said Ramezani, who has also built a flying robot based on the aerial acrobatics of bats. "That's been an inspiration for me in almost all my designs." When Ramezani joined Northeastern this past fall, Leo stayed behind at the Caltech Center for Autonomous Systems and Technologies, where professors Soon-Jo Chung and Morteza Gharib have continued to work on the robot. Ramezani plans to build an updated version of Leo in Boston, for Northeastern students to use as a learning platform. "At this stage, I look at this as a very good platform to push agile robotics. Think of a robot that literally never falls: It can negotiate rough terrain, it can fly, it can jump. An ultra-capable system," Ramezani said. "Down the road, we can use a machine like this for exploration." 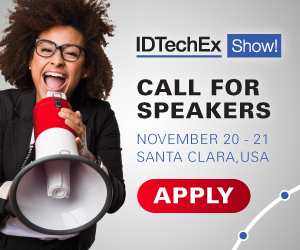 Learn more at the next leading event on the topic: Sensors USA 2019 on 20 - 21 Nov 2019 at Santa Clara Convention Center, CA, USA hosted by IDTechEx.